There is no doubt that winter is coming, and with an estimated 20% above average snowfall, being prepared is even more critical. As Minnesotans we are used to harsh winters with plenty of snow, but sometimes we’re caught off guard before we’ve really primed for the cold weather. 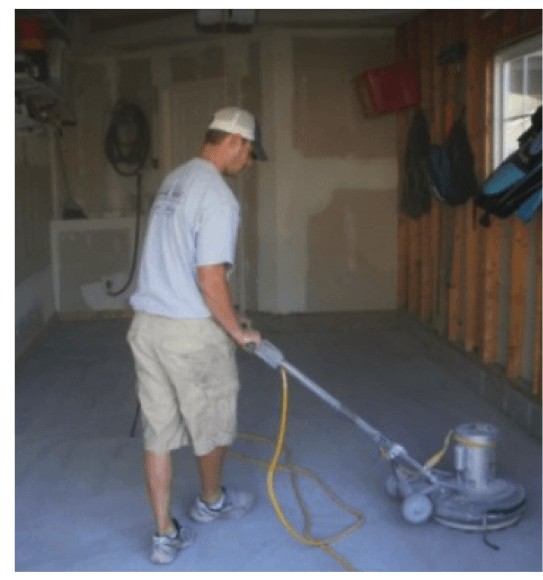 There are many things to include on a to-do list for the upcoming winter, but something that can get overlooked is winterizing your garage floor. When it snows, road crews use various forms of chemicals to melt ice and snow and to keep it from re-freezing. The issue is that these chemicals can attach themselves to your vehicle and make their way onto your garage floor, seeping into the concrete and slowly breaking it apart. The good news is that it’s never too late to prep your garage for the upcoming winter, and taking the proper steps to waterproof your garage floor will reduce or prevent the possible damage that can occur. First, make sure to thoroughly clean your concrete floor to remove any impurities, salt stains or damages that may already be there. For stubborn salt stains, using a combination of warm water, soap, and vinegar with a stiff brush works most effectively as salt stain remover. Once you’ve removed the more stubborn stains, be sure to use a mop or something similar to remove the residue, and then rinse the floor. This is to keep the solution from seeping back into the concrete pores. If you find that your garage floor already has damages from prior winters, be sure to repair them after cleaning. Using a polymer-modified cement is a good option for this. Regular cement patching is not a good option; it won’t adhere well to the surface and can potentially break away. 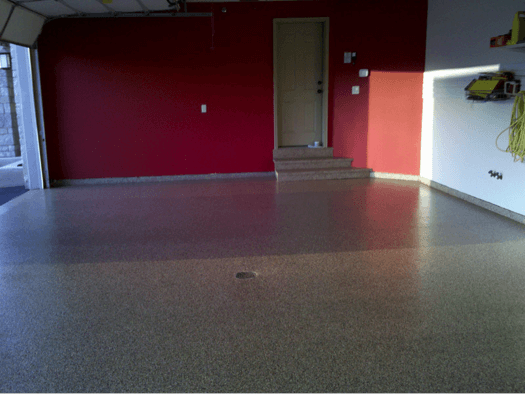 Once your floor is thoroughly prepped, applying a finish such as our polyhybrid coating. While it is similar to epoxy coating, our unique product protects your concrete on a molecular level. This coating creates a barrier that will prevent chemicals from salt, caked-up mud, and road slush that your vehicle can track into your garage. 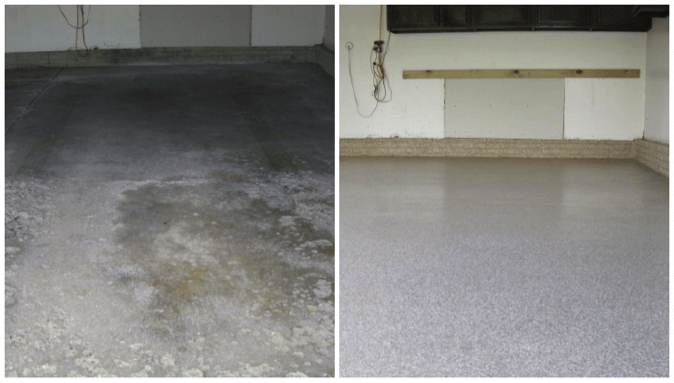 This polyhybrid coating is durable and easy to use, and will give your garage floor a nice, clean finish. Something to keep in mind, however, most protective coatings need to be applied in temperatures above 50 degrees, so the sooner you can winterize your garage before the cold hits, the better. If you’re looking for a quick and easy solution, you can always use garage floor containment mats. They also prevent salt and chemicals from seeping into the garage floor, and are designed to gallons of water. However if you’re looking for a long-term solution and to keep future damage at bay, applying a finishing coat is the best decision. After you have restored your garage floor from past winter damages and take the necessary steps to prevent further damage, you can sit back knowing you’ve marked an important task off your list to prepare for the upcoming winter season. Contact GFC today to find the best solution for your floor needs today!